Fantasy monster or apex predator? 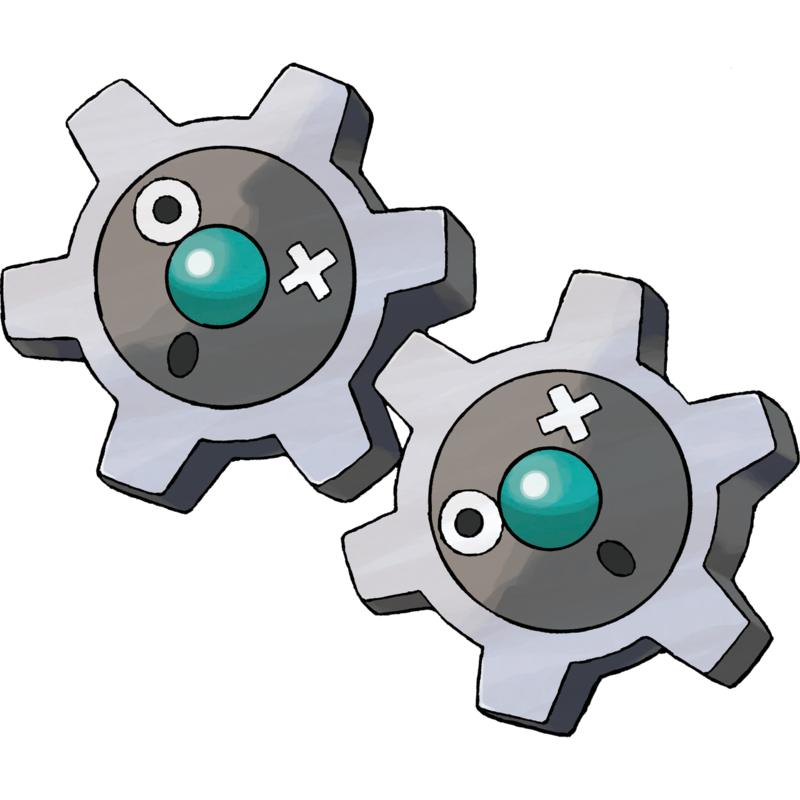 One of the biggest arguments I see relating to inorganic pokémon is the general consensus that pokémon that look like inorganic objects are not feasible. However, I wish to present a rather scientific argument as to why these pokémon whose adaptations are inspired by man-made objects make perfect sense. Since the beginning of the franchise, evolution has been an important mechanic. As I explained in a previous blog, pokémon evolution isn't actually true evolution. Instead, it is a metamorphosis, with juvenile organisms eventually maturing into adults. Not every animal goes through metamorphosis, which explains why some pokémon never "evolve" in the game. That doesn't mean that natural selection, the driving force behind real world evolution, doesn't occur. Now back to the inorganic pokémon like Klink, Trubbish, or Vanilluxe. These organisms look like household objects. The first question would be to ask, what benefit is there from looking like a human-made object? The easiest answer would be that these organisms are adapted to blend with a human environment to have better access to food, water, and/or shelter. The easiest one to explain away is the one I hear the most griping about: Trubbish. Trubbish is the Trash Bag pokemon. Its designation says it all. Trubbish is living garbage and many in the pokémon fandom regard it as such. However, in terms of natural selection, it is a highly adapted (or derived) organism that is the result of generations of breeding. Based on the technology used in the Pokémon World (the ability to convert living organisms into energy, warp pads, etc) its safe to assume that the world of pokémon is more advanced than our own. This may be a result of the events in the Pokémon World taking place in a futuristic Earth. Early writers of the anime were even going to go in to detail as to how pokémon replaced animals following some sort of extinction. If that is the case, Trubbish is an example of natural selection acting upon a creature to make it better adapted to live with humans. If you go to any urban area, you are going to find garbage, more than what you would find in pristine natural habitats. Animals commonly make use of camouflage to hide within their environment. If Trubbish's environment is a highly polluted human urban center, then its appearance makes perfect sense. It isn't garbage, it just looks like garbage to blend in. What would be its food source? Likely garbage. 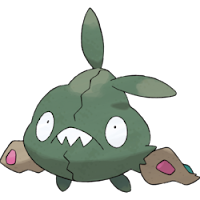 Trubbish live in dumps and eat trash, so not only has this organism adapted to living in a toxic environment, it is now so derived it requires that toxic environment to survive. Obviously, in the real world human pollution hasn't been around long enough to cause such an extreme level of evolution, but we do see animals adapting to our pollution. If we lived in the hyper advanced society powered by Infinity Energy where health care is free and entire cities are managed by levitating robots it may be common place to see animals adapted to the world we caused to change. As for other weird household pokémon, maybe they also have adaptations to help them better survive this human altered world. 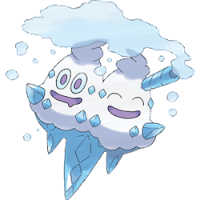 Maybe Vanilluxe looks the way it does to steal ice cream from ice cream parlors? It seems like that is pigeon holing it into a small niche (or ecological role) but that wouldn't be the first time nature has done something like that. If you research some of the odd ways animals have adapted to us, something that is adapted to hide among frozen food doesn't seem as far fetched. How about robotic forms of life like Klink or Magnemite? Well, we define life rather narrowly at the moment. We are usually referring to carbon-based life which includes animals and plants as well as bacteria and other microorganisms. However, we define it that way simply because we haven't encountered other types of life. As technology progresses, the idea that robotic sentient "life" could exist at some point becomes less and less far fetched. Obviously, these wouldn't be animals in the traditional sense, but would still consume something to power their bodies. In the case of Klink and Magnemite, it seems that nourishment is electrical energy. In these cases, we have not only have organisms that are adapted to live with humans, they were actually created by humans. I could try explain why each inorganic pokémon is actually a natural science masterpiece, but I won't sugar coat it; they aren't. Not all adaptations are beneficial after all. Perhaps looking like a candle was useful for sneaking into houses and stealing food before the advent of electricity, but afterwards it would be more of a hindrance. I think most people would notice a random candle near their refrigerator.. which also seems to have a face and has turned bright orange for some reason. Eventually those mutations would be fazed out by a new mutation, perhaps one that makes the organism look like a key chain. This new organism that could better blend in and find food would eventually lead to the extinction of those defunct species that are no longer able to compete. In the end, does basing a pokémon on a random household object allude to a loss of creativity? In my personal opinion: No. What it means is the person who devised it looked at that lifeless object and asked themselves, "If this was alive, how would it live?"